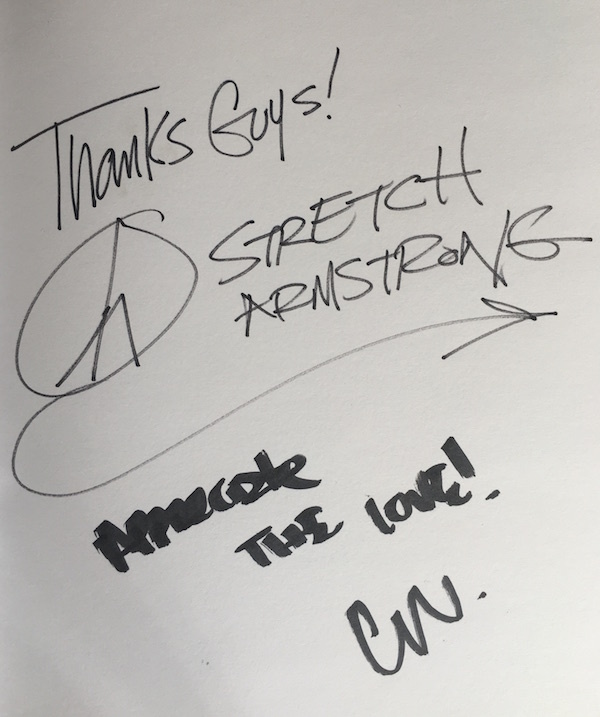 Stretch Armstrong was a prophet of hip-hop radio with Bobbito Garcia. Now he’s bringing you the bible of NYC nightlife with co-author Evan Auerbach. Copy and paste this HTML code into a webpage to embed Episode 188 of The Cipher. Stretch and Evan are the co-authors of the new book No Sleep: NYC Nightlife Flyers 1988-1999. The book, as its title suggests, is a collection of flyers from the prime years of New York City nightlife, mixed with recollections from people who were there. But both guests are known for far more than the book. Evan was the driving force behind Evil Empire mixtapes, and currently runs the popular Up North Trips, which has a website, Twitter, and Instagram devoted to hip-hop memorabilia, anniversaries, and history. Stretch, of course, was the co-host of one of the most influential radio shows of all time, the Stretch Armstrong and Bobbito show. The show, co-hosted by Bobbito Garcia, ran on WKCR starting in 1990, and defined the sound of underground rap. Just a short list of artists who appeared on that show in the early years of their career would include Nas, Common, Jay Z, Eminem, Busta Rhymes, Big Pun, Big L, the Notorious B.I.G., and the Wu-Tang Clan. Many of those artists, and a ton more, revisited their experiences in the 2015 documentary Stretch and Bobbito: Radio That Changed Lives.